Is Hotel Transylvania 3 scary? 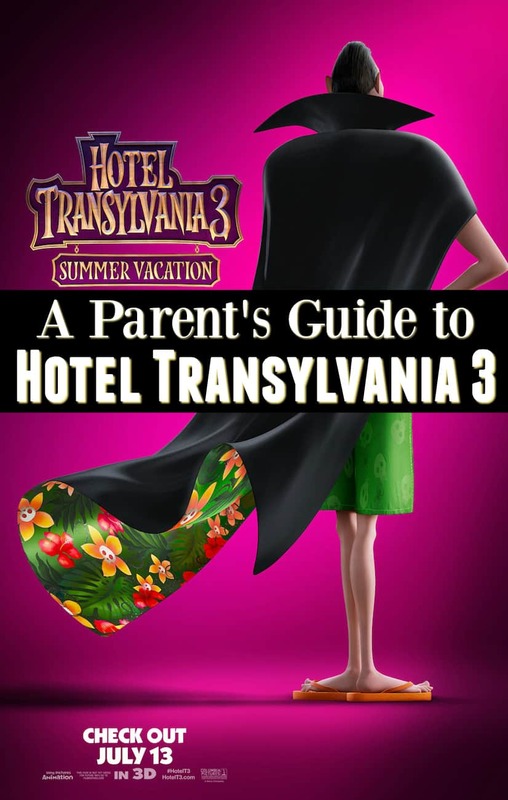 Is Hotel Transylvania 3 age appropriate or suitable for age 3, age 4, age 5 (and so on…)? Should I take my child to see Hotel Transylvania 3? Related: Hotel Transylvania 3 Glow in the Dark Slime Recipe! Sometimes it's tricky to answer these questions in my parents guide to movies. I had no problem telling parents that kids might be overwhelmed in my Doctor Strange parent review and my Jumanji parents guide. But I'm also into being honest and encouraging when we're talking about quality entertainment. Writing the Peter Rabbit parent review and my Incredibles 2 parents guide were no-brainers. They're just great family movies that hit the right balance of storytelling, comedy and drama. Hotel Transylvania 3 is not too scary for kids. Hotel Transylvania 3 is age appropriate for young kids. They're the audience who will be amused by the physical comedy that parents will find cringeworthy! Yes, you should take your child to see Hotel Transylvania 3. 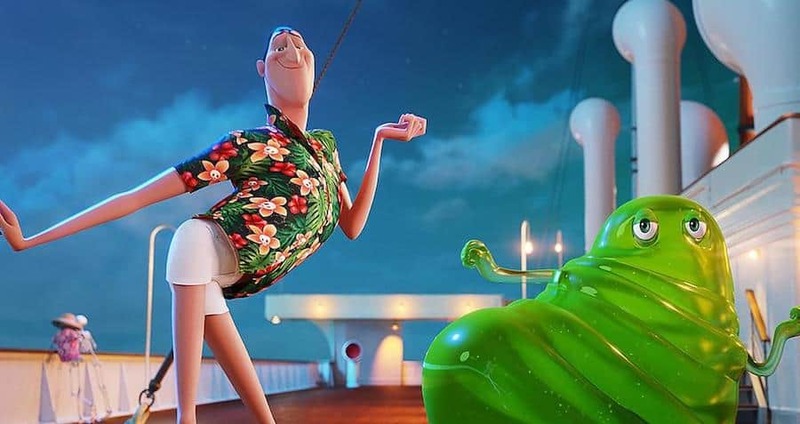 In Hotel Transylvania 3: Summer Vacation, our favorite monster family embarks on a vacation on a luxury monster cruise ship so Drac can take a summer vacation from providing everyone else's vacation at the hotel. 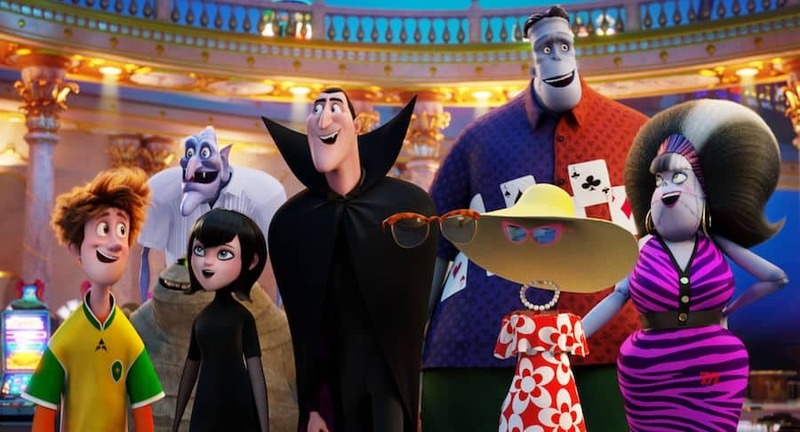 Taking place a few months after the events of Hotel Transylvania 2, the story centers on Dracula, Mavis, Johnny, and the rest of their family, both human and monster. It’s smooth sailing for Drac’s Pack the various monsters indulge in all of the fun the cruise ship has to offer, from monster volleyball to exotic excursions to catching up on their moon tans. But the family's dream vacation turns into a nightmare when Mavis realizes Drac has fallen for the mysterious captain of the ship, Ericka, who hides a dangerous secret that could destroy all of monsterkind. You might already know that I'm a mom to two kids, ages 8 and 9. Both my husband and I love pop culture, but we're also somewhat strict in what we allow our kids to watch. Why? I have several reasons. First is just being a bit of a helicopter mom. First, there's no shortage of high-quality, 100% age-appropriate movies and shows for them to watch. I see no reason to push those limits. Second, Haiden gets scared easily and Piper will just leave or cover her eyes if she gets frightened. I'd rather stay on the conservative side of what they watch to keep my kids feeling happy and comfortable. Why is Hotel Transylvania 3 rated PG? Hotel Transylvania 3 is rated PG for some action and rude humor, according to the MPAA. It's not violent and there's no swearing in it. In my opinion, I think the rating is spot on. The action refers to a sequence at the end where many favorite Hotel Transylvania characters are under attack. They fight back in traditional and not-so-traditional ways. The conflict is resolved on a light and funny note in the end. As far as rude humor, there's some physical comedy that's sure to tickle your child's funny bone while leaving you groaning at the same time. I'll admit, watching a vampire grandpa struggling to arrange himself on a chaise lawn chair while ladies fawn over him had me giggling and cringing at the same time. I've seen a lot of kids movies in the past year. I have to say, Hotel Transylvania 3 just might be the least scary out of all of them! First, the celebrity voices in Hotel Transylvania 3 are so entertaining! Adam Sandler, Selena Gomez and Andy Samberg reprise their roles from the first two films. I also had a fun time playing “guess the voice” throughout the entire movie. Given that the cast includes notables like Jim Gaffigan, Chrissy Teigan, Kathryn Hahn, Chris Parnell and Joe Jonas, there's no shortage of familiar voices in the movie. 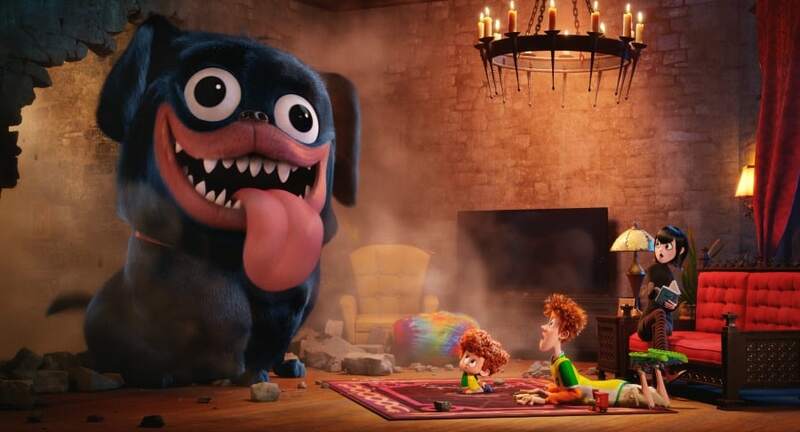 The other aspect of Hotel Transylvania 3 that I truly appreciated as a parent was the continuing theme of love and acceptance. This message was strong in both Hotel Transylvania and Hotel Transylvania 2. Hotel Transylvania was carries the message seamlessly all the way to the end of the movie. Identity, tolerance and acceptance. The concept of being different is explored throughout the Hotel Transylvania franchise. I love how the movie always shows that as a strength, not a weakness. Hotel Transylvania 3 takes it a step farther, giving life to a likeable character who was born and raised to hate a group of individuals before ever knowing them. Love and family. The bond between a father and daughter is strong in this movie, as are the relationships between characters and their spouses. Parents dating and getting remarried. 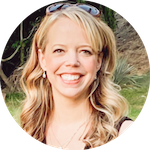 This is explored from the perspective of an adult with a parent who starts dating, and it could be a great place to start a discussion with younger children. Scary and not so scary monsters. Many characters featured in Hotel Transylvania 3 are monsters that are commonly portrayed in other works as terrifying. I love that Hotel Transylvania 3 highlights their characteristics as making them unique, funny and sweet, rather than scary. This circles back to the tolerance and acceptance themes and encourages us to look for the good in others. I truly believe that these are all great topics for kids to take in and start thinking about. It's great to see them presented in a way that's easily digestible for children! To sum it up, should kids see Hotel Transylvania 3? Yes – this movie is sweet and funny with a great message. Get out of this heat and take the family to see Hotel Transylvania 3. You'll be happy you did! Hotel Transylvania 3 is in theaters everywhere on July 13. 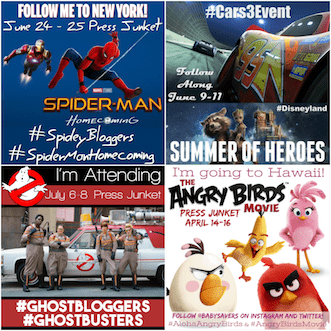 Get your local showtimes and tickets here!